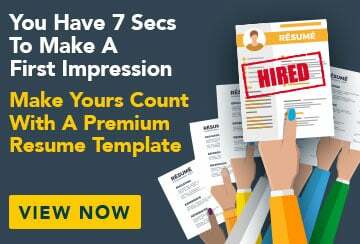 This free sample resume for a hair stylist/ salon manager has an accompanying sample hair stylist/salon manager cover letter and sample hair stylist/salon manager job advertisement to help you put together a winning job application. Creative and dynamic hair stylist with a high degree of technical knowledge, experience in salon management and excellent client interaction skills with a proven ability to grow a strong and loyal customer base. I have seven years of industry experience working in busy salons and on fashion shows, and have been the recipient of an Australian hair styling award. As a stylist who values my clients and colleagues I am now looking for an opportunity to apply both my hair styling and management skills and knowledge, and contribute to a team that delivers industry-leading services. I possess excellent social skills required to engage with clients in a meaningful way to build their trust and respect. In my role at Cutting Point, I am responsible for working with clients to discuss their needs and create hair designs, and briefing junior staff on the techniques required to deliver the desired result. Key to client satisfaction is my ability to carefully listen and interpret their requests, advising and guiding them when required, my caring and positive personality, and my friendly and easy manner. My skill in this area has been demonstrated by repeat business with more than 40 individual clients requesting bookings with me, as well as consistent referrals. I am experienced in helping to manage a busy salon and carrying out the creative direction established by salon owners and senior hairstylists. In my current role, I help to teach junior hairdressers and identify the skills and capabilities of different team members, and assign them to appropriate roles that help to achieve the best results for the salon and clients. I have a strong drive to stay on the cutting edge of trends and new techniques. Management consistently commends me on my commitment to training and sharing new trends with colleagues. I am also committed to keeping up-to-date with industry events and meeting new people to develop opportunities for promoting the salon. In my current role, I have secured contracts for the salon to be the hair stylist of choice for major fashion events through my continued interaction with industry leaders. I am also in charge of our social media strategy and have developed a considerable following on Facebook and Twitter. I have a proven ability to put forward creative, original ideas in situations that call for a high degree of artistic sense to showcase our technical ability and individuality, such as during fashion shows or hair styling competitions. My skill in this area has been acknowledged by a prestigious industry award as well as by clients, who have consistently left positive feedback on my styling and advice in customer satisfaction surveys.